A blend of traditional architecture and modern interior finishes define this beautiful two-story estate. 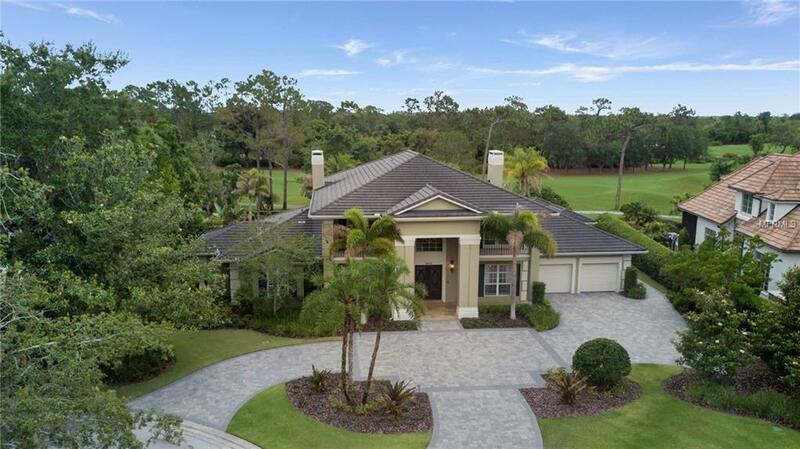 Nestled along the second fairway of Lake Nonas championship golf course, the home encompasses more than 5,100 square feet through four bedrooms, four full and two half bathrooms. 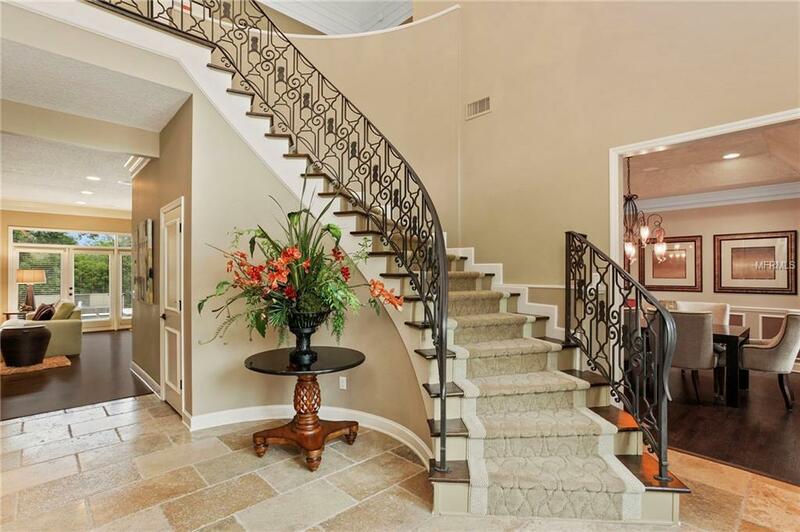 A grand foyer welcomes you with its soaring ceiling and an elegant spiral staircase with wrought-iron detail. 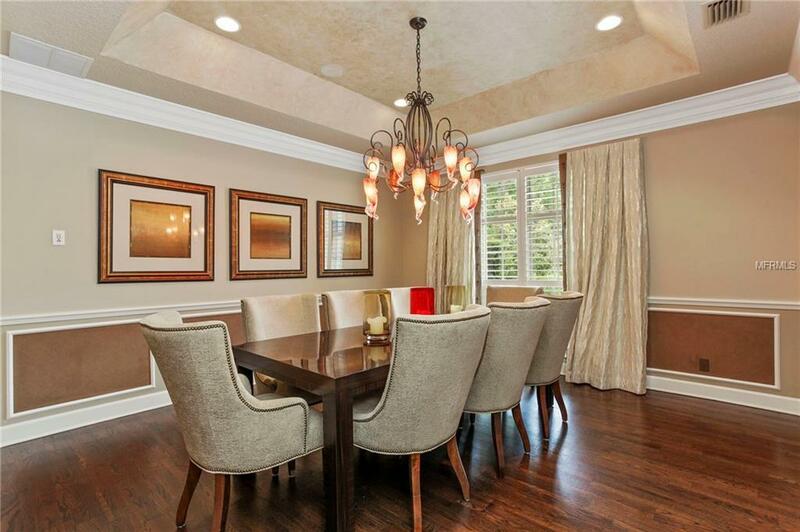 Beautiful hardwood floors travel throughout the main living areas creating a warm and inviting ambiance throughout. The kitchen showcases Regal Craft custom cabinetry, granite countertops and appliances by Wolf, Miele and GE, along with a charming breakfast nook and lanai access. A spacious covered lanai with retractable screens allows you to enjoy the lush landscape at any time. 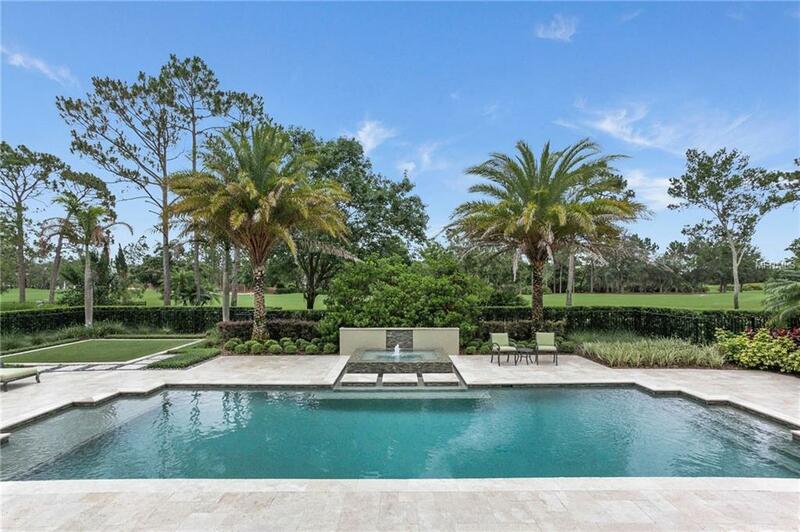 A resort style pool with a spa fountain feature serves as the focal point for entertaining in the outdoor living space, which also includes a summer kitchen and turf landing. Completing the first level is an expansive master suite with an oversized walk-in closet and a lovely master bathroom with beautiful marble detail, dual vanities, a walk-in shower and a jetted tub. The second floor features the homes remaining bedrooms along with an expansive 19th hole-style media room complete with fireplace and bar. Two balconies capture the picturesque views overlooking the pool and fairway. Additional features include a wet bar and wine refrigerator, a full pool bath, and a two-car garage with golf cart storage.